Done this before, right? This time I made it even simpler with what I had and didn’t have and served with couscous. It takes its time to cook but only half an hour to prepare and then you can forget the food in the oven. Mmmmm… just perfect! My favorite kind of recipe. The meat comes out so tender you cut it with your fork. What I had today was the right kind of meat, carrots, onion, garlic, bay leaves, thyme and, of course, red wine. What I didn’t have was cheese cloth to wrap the veggies and salt pork to make lardon. I let the veggies loose and sauteed strips of ham instead. The recipe below is how I made it yesterday, … or rather the night before. How to make: Saute the ham strips and leave them aside in a plate. Wash, rinse, and dry the meat. Cut in big pieces, add salt and pepper and saute. Be careful not to crowd the pieces, which means you may have to saute in batches. Add some wine in the pan, when you’re done, to pick all the stuck pieces. 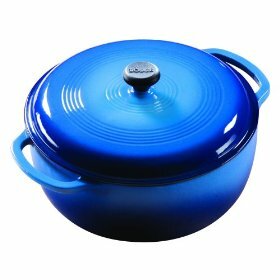 Put the meat and ham bit in a Dutch Oven or whatever you use to bake casseroles in the oven. Add all the veggies and spices (carrots, onion, garlic, parsley in a bunch, thyme, and bay leaves). Add the juices from the pan. Add half a bottle (0r less) red wine and a cup of beef stock. Top with the tomato pieces. Close the lid and cook in low oven (300 F) for 3 hours. Remove onion and parsley before serving but leave the carrots in. They’re pretty yummy, actually. If you’re like me you either started this dish in a weekend morning and served when ready or you made it the night before and reheated the next day. Notes and tips: If you want to make it the “right” way, go with the recipe given in my earlier post here. 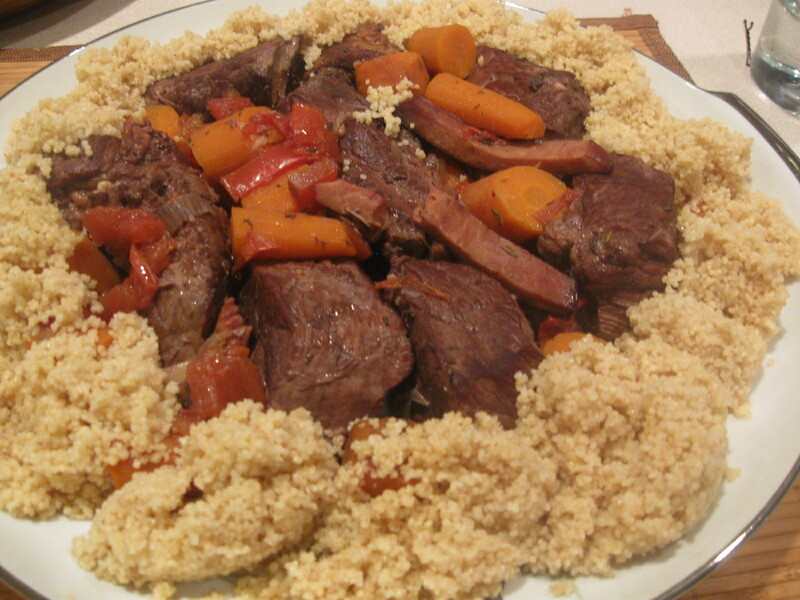 This is the first time I’ve served it with couscous and my kids loved it. The couscous, you cook according to package instructions but don’t forget the tip we learned from JK about heating up water in a kettle and then using as much as you need to add to a bowl of couscous with butter and salt.